I have a B.A. in History and Creative Writing and an M.A. in History. I enjoy movies, television, poker, video games, and trivia. What Is the Correct Golf Swing? 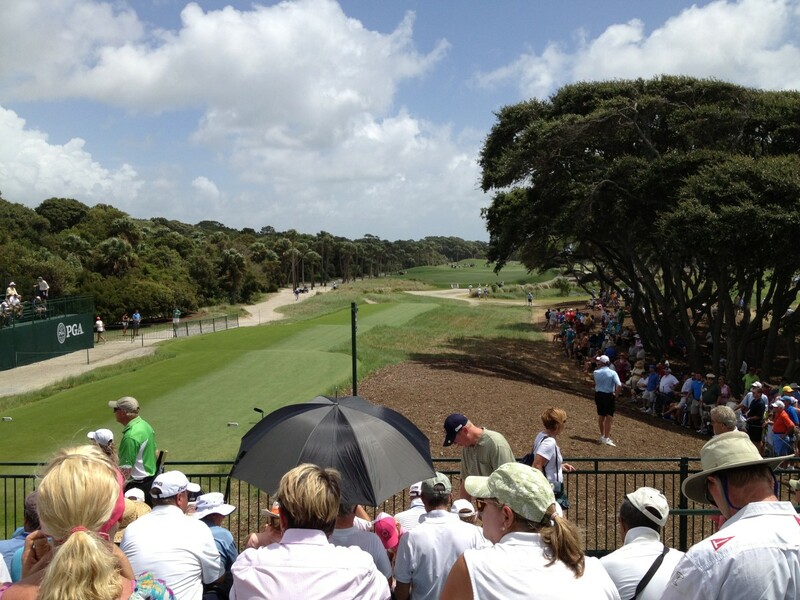 Golfers the world over are always in search of the perfect golf swing or the right golf swing. But what is the right golf swing? Is there such a thing? This article is designed for the beginning to intermediate golfer who is having difficulty identifying problems in his or her swing that are leading to particular shot problems. Also, I am right-handed, so everything I say will refer to right-handedness. If you are left-handed, just reverse things when I talk about hands. I have been around golf and golf courses and golf people all of my life. The most common problem for beginning golfers is that they develop bad habits. 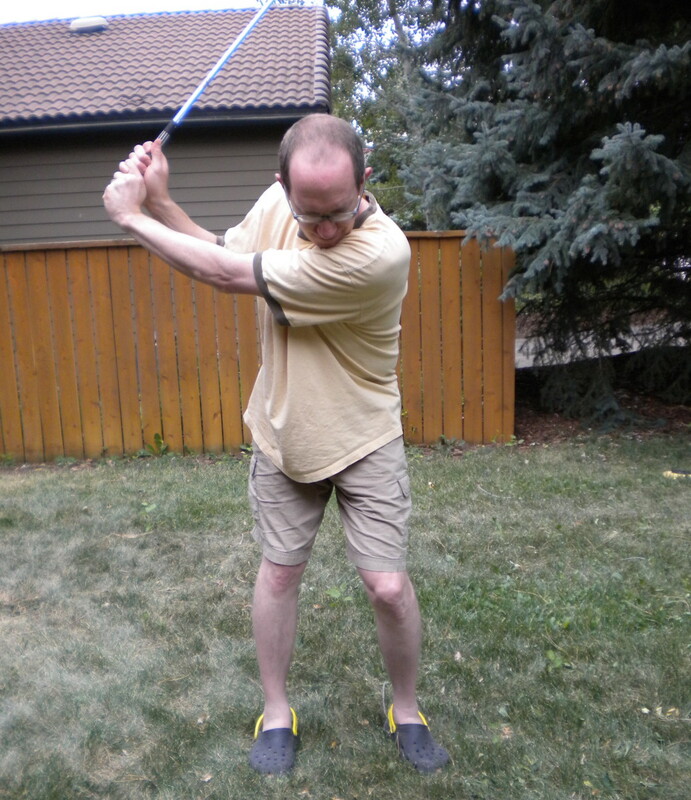 However, there is no such thing as the right golf swing. There's only the right golf swing for you. 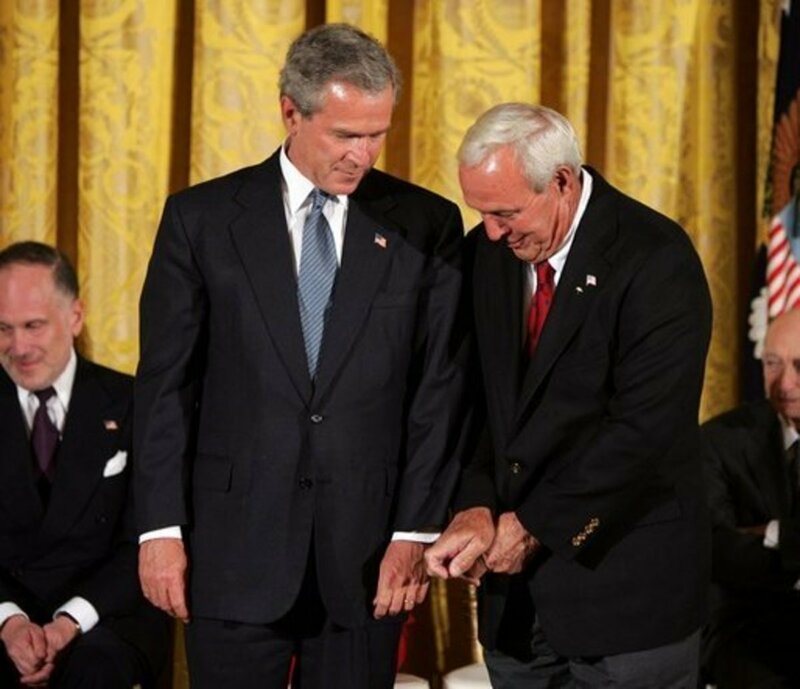 Each person has different physical limitations that make tailoring the golf swing to their biometric needs essential. Overall, my philosophy with the golf swing is the simpler, the better. So, if you find that intriguing, read on. A solid golf grip with v's pointing downward. Right hand could stand to turn toward the club just a bit. Is There a Right Grip? I use a traditional overlapping grip, which means that the pinky of my right hand is resting over the gap between my forefinger and middle finger of my left hand. Most golfers initially learn about the overlapping and the interlocking grips. As long as you know the difference, it doesn't really matter which one you use. The only thing that does matter is that you not use a baseball grip or a ten-finger grip. A golfer cannot be successful with a baseball grip because it gives the right hand too much control over the club and that is a bad thing for a right-handed golfer. For a right-handed golfer, the control part of the golf swing is dominated by the left hand and arm, and if the right hand is on the club too much, it will ruin a golfer's control. The main point of this capsule is hand positioning. The V's formed by one's thumb and forefinger should be pointing down the shaft, right at one's feet (the left v at the right foot, the right v at the left foot). Relative to the shaft, the plane formed by the back of the right hand should be pointing to 11 o'clock while the plane of the left hand should be pointing to 1 o'clock. While I know that sounds a little technical and weird; it's important that the back of the hands not turn over too much in either direction; otherwise the average golfer will have control issues. Certainly there are golfers who use strong (back of left hand turning toward the club) and weak grips (back of left hand turning away the club), but the majority of golfers will benefit from using something reasonably close to what is shown in the picture. Since it is the left hand on a right-handed golfer that controls the club the most, changes in positioning and pressure are going to show up in various ways. Again, the right hand is there for stability. If the golfer has the right hand turned excessively one way or another and is applying lots of pressure with the right hand or the right forefinger, problems are going to arise. Grip pressure, while usually firm to strong, can vary depending on the golfer and is not a huge issue with the left hand. Generally, if the pressure with each hand is equal, there won't be problems. It's a common issue for a beginning, right-handed golfer to attempt to swing the club with the right arm and the right hand. One of the best way to get a feel for the right grip is to practice hitting golf balls with only the left-hand. Although you will lack for power, you should be able to hit the ball short and straight. Having your left hand turned over too far toward the club will result in hooding the golf club and pulling the ball left. Having the left hand turned away from the club too far will make it difficult to get the club turned over, resulting in pushes, shanks, and slices. Practice hitting balls with just your left hand, adjusting your grip, until you are hitting the ball consistently straight and you will have the proper left hand position. When both hands are on the club, changes in hand positioning can create slices and hooks, so experimenting can produce interesting results. A common problem for beginning golfers occurs with the application of the right-hand in a position that dominates the grip: either too weak or too strong. The problem with attempting to solve overall golf problems by making grip adjustments is that a bad grip is usually a result of other problems and a grip change has been made to compensate. Thus, if you play with an open stance and found yourself slicing a lot, you may have made a grip adjustment to try to control your slice. Thus, it is essential that a good, mostly neutral grip be used in order to build a foundation for the rest of the swing and so that larger problems, like swing plane and hip problems, are easily identified. Square stance with closed lead foot. This hinders most golfers ability to follow through. This is better foot position allowing for an easier follow-through. Is There a Correct Stance? Most golfers will recognize the principle being applied in the first picture of the stance as anyone who has had a lesson probably did this at one time or another. In misapplying this concept, many golfers mistake ball positioning with feet positioning. 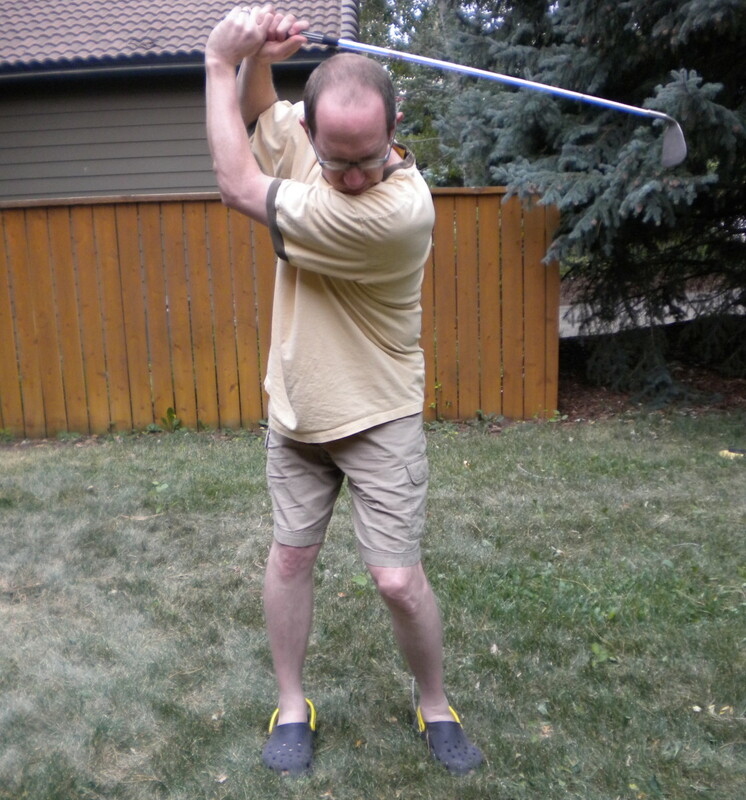 The first photo, where the club is put down perpendicular to the target, is meant to show a golfer where to position a ball in his or her stance. 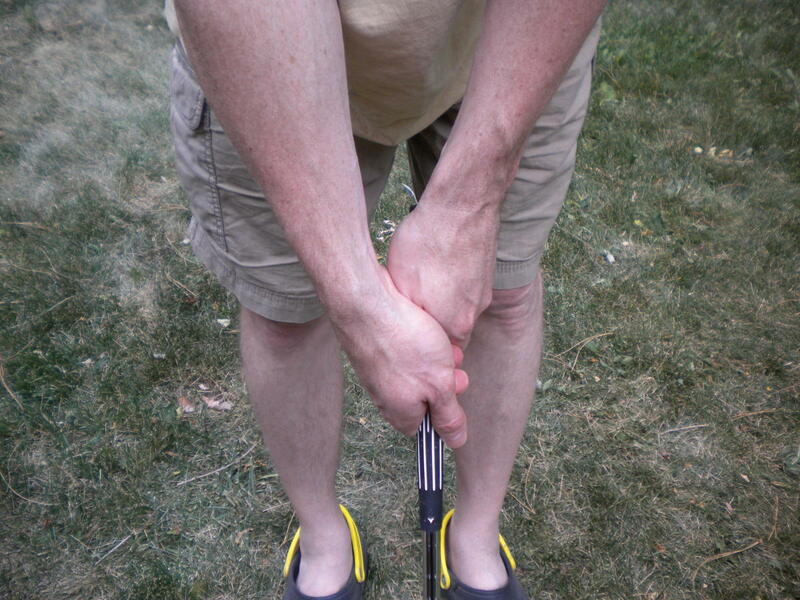 However, if you notice the position of the feet, many golfers will position theirs this way. Most notably, the left foot, like the club, is perpendicular to the target. This is one of the most fundamental problems I've seen over the years in mid-handicap golfers. The emphasis of the closed stance is to make sure the hips are square. A golfer can still have square hips (meaning the hips are parallel with the target line) but have the leading foot turned out. The critical problem in having the leading foot perpendicular to the target line is that it locks the knee and restricts proper follow through. If you are having problems with knee pain in your lead leg or distance issues, it may very well be that you have locked your knee by the way you position your lead foot. You can still keep your feet square to the target and turn them open a bit, which will allow your knee some breathing room when you follow through. This will make it easier for you to follow through and allow for a more fluid, powerful swing. Specifically, opening that foot allows one's hips to release, which is vital for a good swing. Typical overswing. Notice the bent left arm. The longer the swing, the more things break down leading to bad shots. 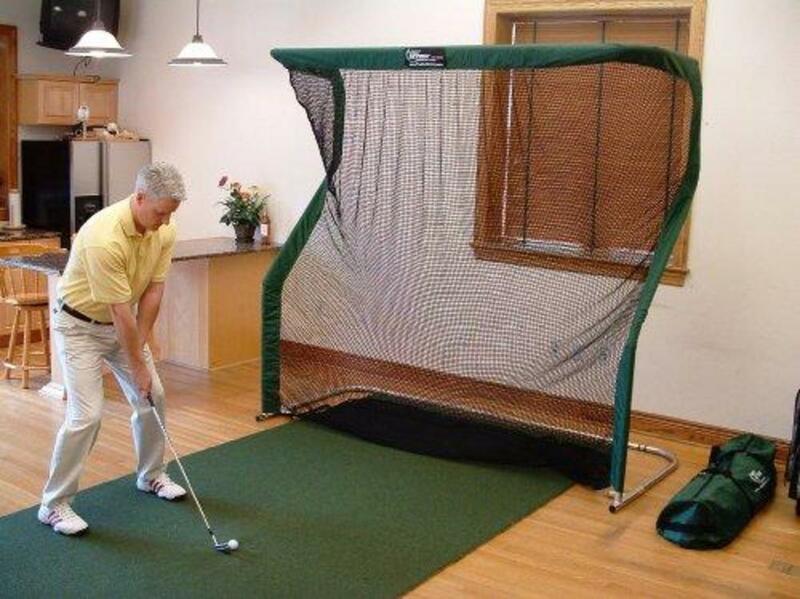 If most golfers only took their swing back this far, most would improve. How Do You Develop a Good Backswing? My most common piece of advice to golfers I have helped is this: take a shorter swing. Most golfers have too long a swing and can gain much by shortening their swing, going so far as to try and take only a half swing on many shots. The funny thing is that even when you tell somebody to take a half swing, they almost take a 3/4 swing anyway. The point where most people encounter the most problems with the golf swing occurs between the three-quarter and full point of the standard golf swing where the beginning of the downswing starts when the golf club is parallel to the ground. Few non-professional golfers who don't practice a lot can pull off a full golf swing and not encounter a variety of problems. Unless you are very flexible and have very good shoulder rotation, the triangle formed by the right arm, left arm and across the shoulders falls apart. 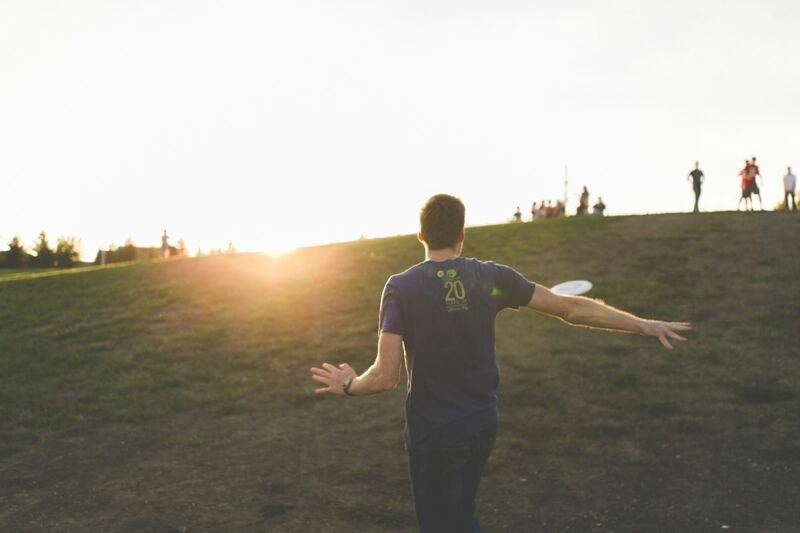 In simple terms, the left arm begins to bend, and this is when all sorts of bad things happen. 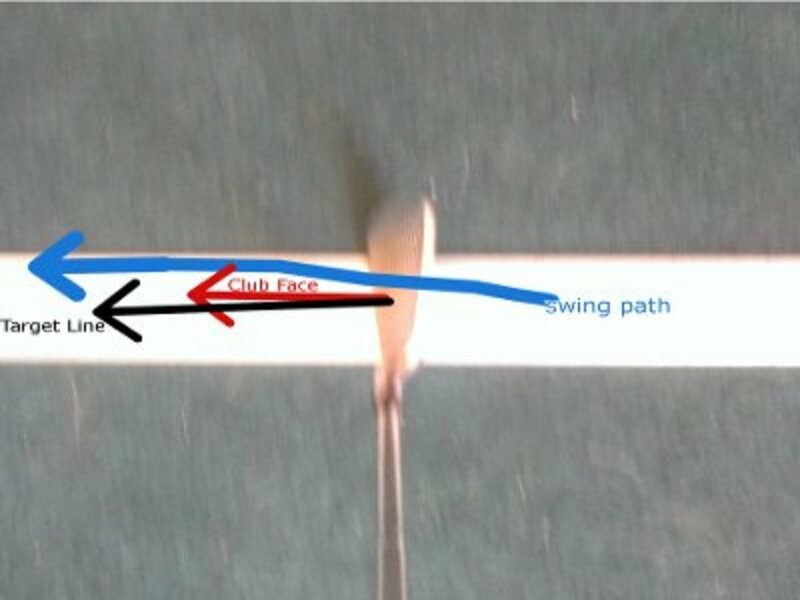 The plane of the swing frequently changes and the golfer has to waste energy straightening the left arm on the downswing. Once the swing plane changes, the golfer has to either adjust via some unusual movement or a bad shot occurs. Another problem many beginning golfers have occurs with the legs. 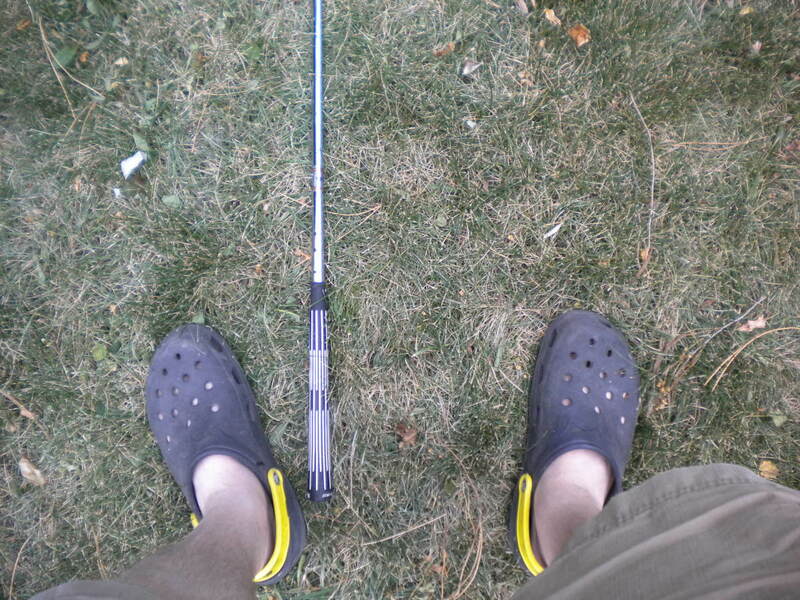 Simply put, a golfer does not need to worry about anything involving the legs. There should be no swing key or swing thought involving any leg movement. If the backswing is solid, the legs will move naturally. Many people try to concentrate on popping their lead knee out or starting their swing with some particular leg movement, and this will just lead to trouble. My main swing key has always been to feel like I'm pulling down with my arms when my swing gets to about 3/4 (as pictured). Keeping the swing triangle in place and pulling down with the arms and hands as one unit provides a fluid, powerful swing with more limited chance for problems. As I wrote, the best piece of advice I've consistently offered people about their golf swings is to practice taking a half swing. The fact is, very little distance is lost taking a half swing if everything else is working properly. For those having accuracy problems, taking a half swing may knock a little distance off some of their clubs, yet dramatically improve their accuracy, making the benefit well worth it. If the same problems persist when using a half swing, like slicing or hooking, pushing or pulling, then something else is wrong. Taking a half swing allows the average golfer to pinpoint where they're having problems yet open up new possibilities for simplifying their swings. Additionally, since a half swing is much easier to control, most golfers will experience fewer missed shots, so while they may lose distance, they will hit more shots solidly. The golf swing can be a ridiculously complex thing. The key to creating the right swing is to develop a swing that can be repeated over and over. The professional golfer can spend hours upon hours on the driving range perfecting a swing that meshes power and accuracy. 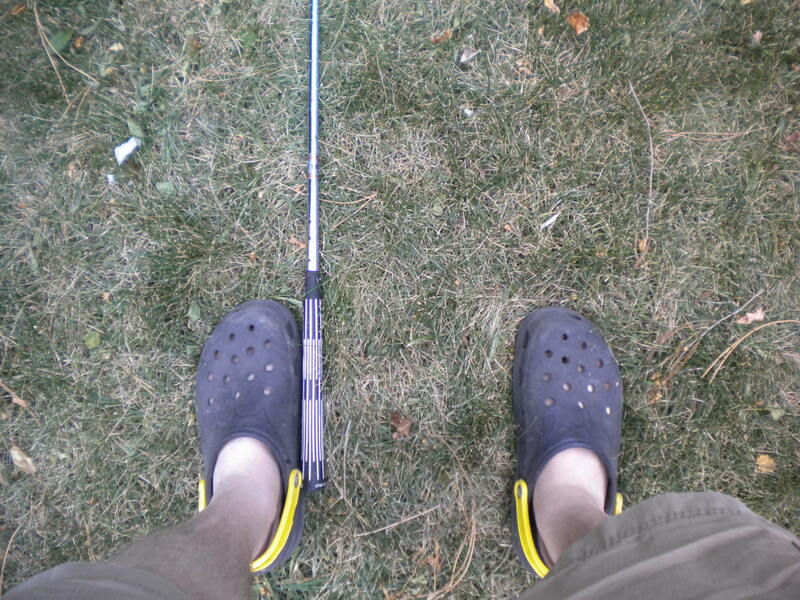 The average golfer doesn't have time for this. 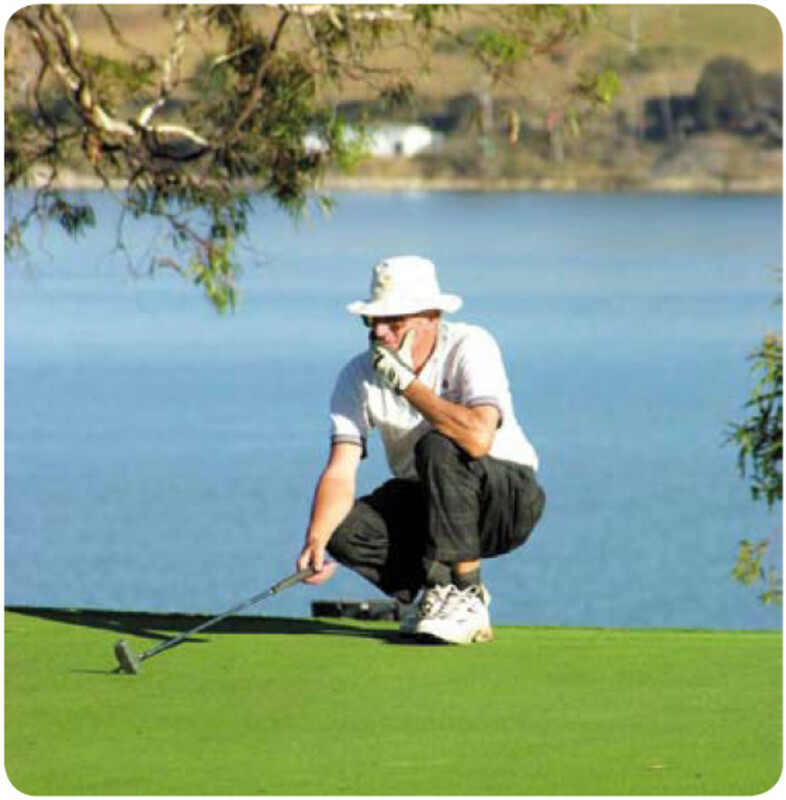 For the average golfer to attempt to emulate a professional golfer is very difficult, yet virtually everyone tries. If you are an average golfer, the better path is to simplify, simplify, simplify. Taking a shorter swing has all kinds of benefits. Most notably, it reduces the chance you are altering your swing plane. Maintaining a consistent swing plane is one very important key to hitting the ball straight. Many readers are undoubtedly familiar with the movement to long putters even among PGA professionals. The reason long putters are popular is that they reduce the opportunity for extra movements. The same philosophy applies to the swing. The easy, simple swing is best for most people. If you're having problems, try to remove all unnecessary movements until you're hitting the ball well. If that means using a half swing, so be it. Most people cannot pinpoint their problems taking a full swing because too much is going wrong. Try some of my recommendations and soon you'll find yourself hitting the ball better than ever before. Have a Golf Swing Question? Just ask.